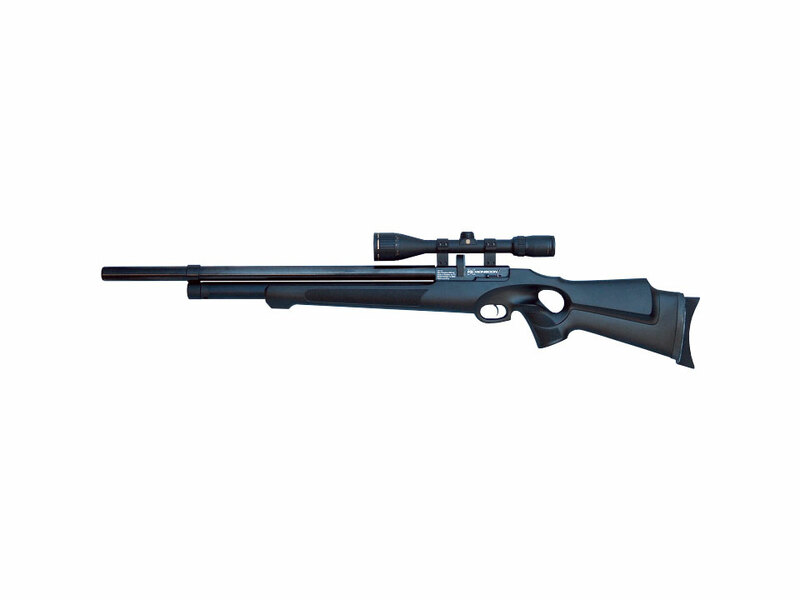 Synthetic stock available in .177, and .22 caliber. 12 shot magazine for .22, and 16 shot magazine for .177 caliber. In a nutshell, the FX Mosnoon is a fast shooting, semi auto that looks great, shoots quiet, and delivers up to 30 ft/lbs of power in .177 caliber. 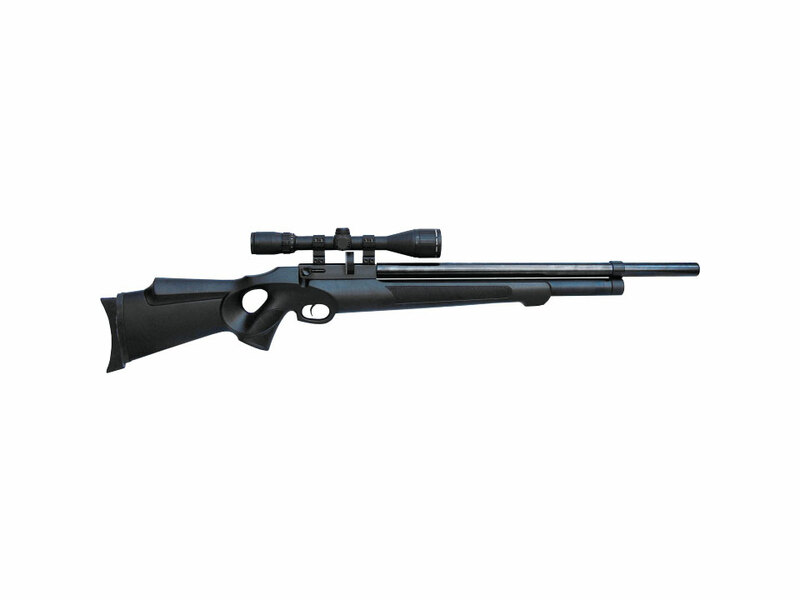 All weather, durable synthetic stock with thumbhole and adjustable recoil pad for recoil-free shooting.